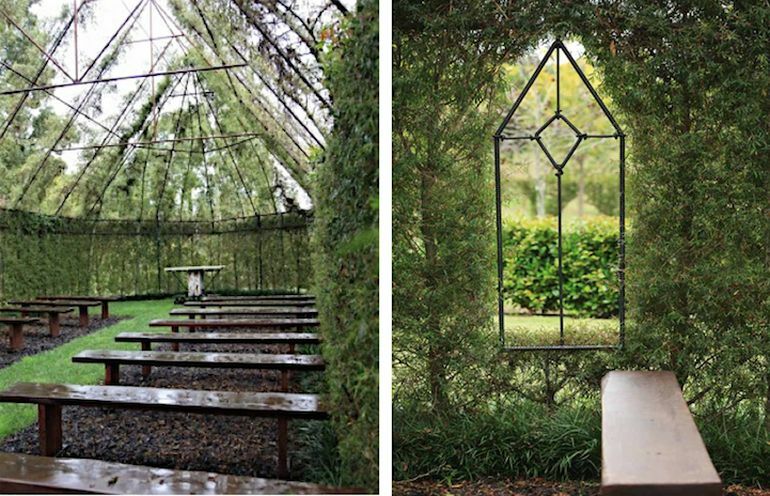 Last year in December, we came across the Cattedrale Vegetale (Tree Cathedral), the wondrously conceived church design from ‘bare-bone’ trees. 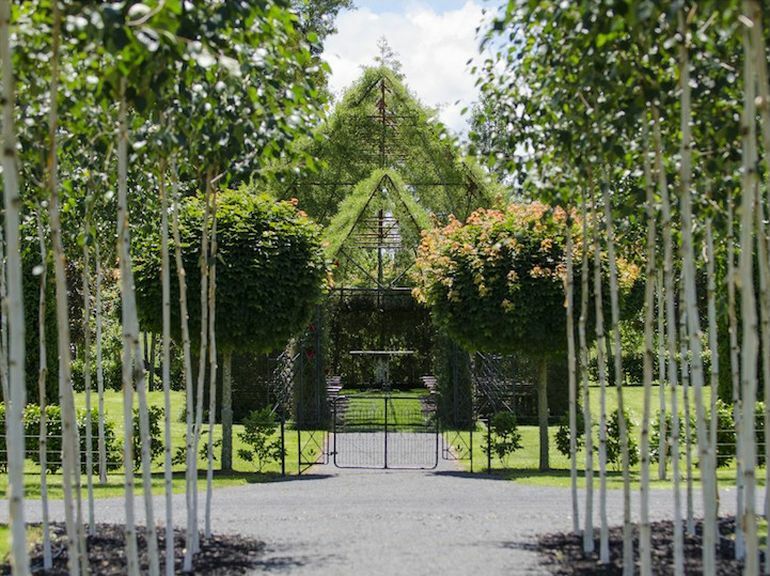 Well this time around, the minimalism gives way to a verdant scope – with Barry Cox’s incredible feat in the form of a ‘lush’ cathedral designed entirely out of dense and exuberant vegetation. 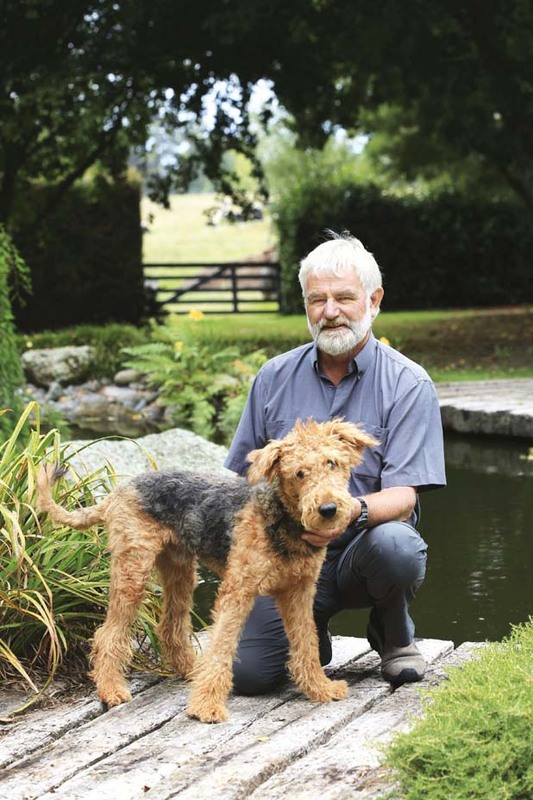 Conceived over a period of over four years, this nature-inspired church is actually located in the designer’s backyard in New Zealand (a 1.2 hectare property in Cambridge by the Mount Pirongia in North Island). 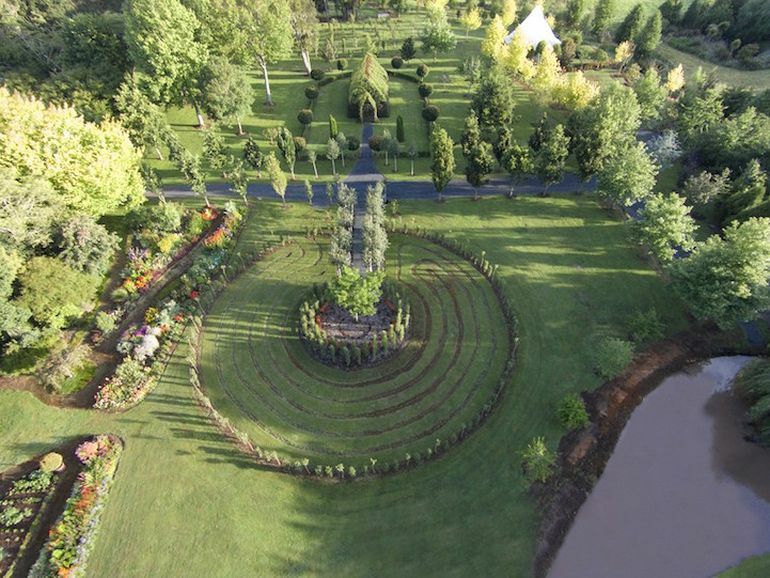 And what’s more – the whole organic setup is fully open to the public to bask in the glory of ‘heavenly’ architecture. Fortuitously, Cox already had a clear-cut idea of landscaping and variant tree types (and their foliage), by virtue of his Treelocations business for transporting living trees with mechanical aid. 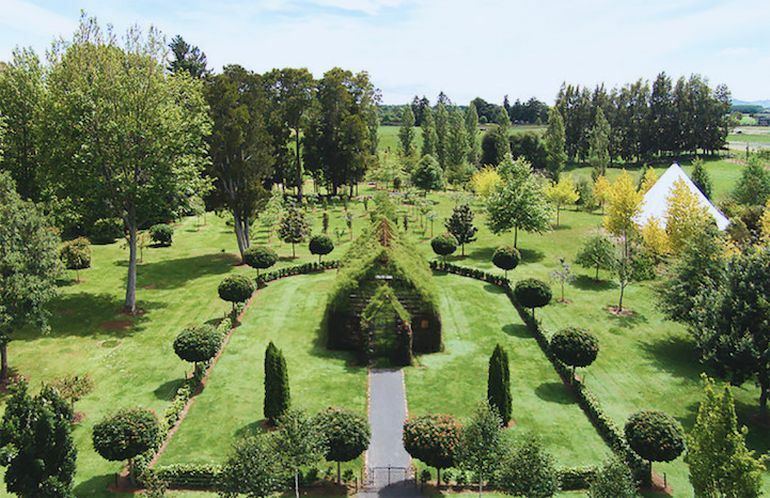 This advantage allowed the designer to relocate certain types of saplings back to the church site. For example, the roof is crafted from arrangements of Cut-leaf Alder that are known for their sparse texture and flexible bearing (albeit appearing charming from a distance). This element of sparseness facilitates the induction of natural sunlight, thus endowing a pleasant light source during daytime. Similarly, the slender basis of the roof is structurally complemented by wall composed of Copper Sheen trees. 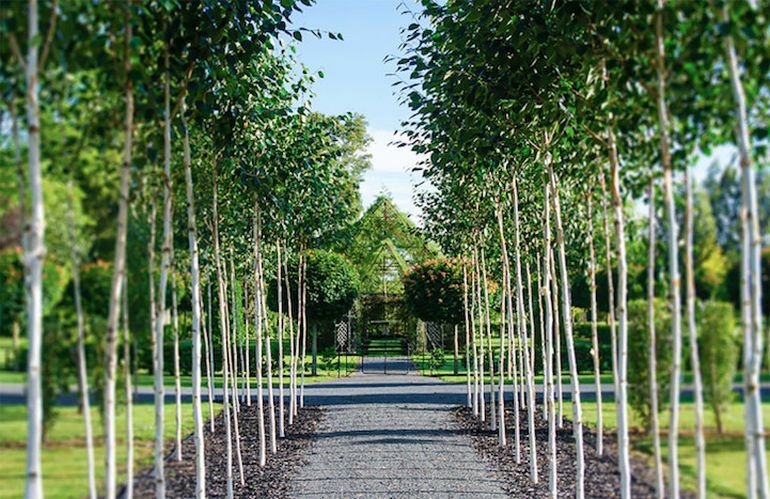 These trees are naturally sturdy to withstand outdoor winds, while their foliage also replicates the color scheme of stones. Finally, the design ambit is literally topped off with a Dublin Bay rose plant – for a dash of idyllic flair infused into the already scenic scope. 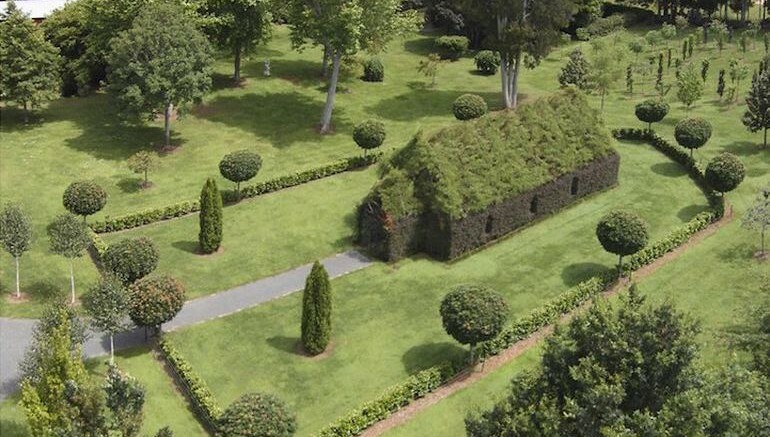 And finally, this organic church is bolstered by other landscaping features, including rows of neatly pruned plants and a sylvan-looking hedge.